I was thrilled, for example, when I spotted some clear plastic ornaments in a dollar store. My brainstorm: Use some shredded currency that I had sitting around the house as a base—or maybe use some sparkly tinsel—and put some real cash into the ornament. What a cool way to give anywhere from $5 to $50. Frankly, you can take the $30 that you spent at Black Friday sale for a Madden NFL 19 video game and put it into a 529 plan for college, or the $40 or $45 you might spend for Call of Duty: Black Ops 4 on sale. It’s a lot easier than you might imagine. The gift giver who contributes to someone’s 529 plan might qualify for a tax break, depending on where the person lives and the 529 plan chosen. Currently, 34 states and the District of Columbia offer a state income tax deduction or state tax credit for contributions to 529 plans, according to the College Savings Plan Network. If you’re giving a gift, ask the parents if the child already has a 529 plan and consider making a gift directly to that plan, or, you can do some research on the quality and cost of various plans, including some rankings by Morningstar. The five plans that rank at the bottom with negative ratings, according to Morningstar, are: North Dakota’s College SAVE plan, the Florida 529 Savings Plan, Franklin Templeton 529 College Savings, the GIFT College Investing Plan out of Arkansas and Nebraska’s TD Ameritrade 529 College Savings. Leo Acheson, associate director of Morningstar’s multiasset and alternative strategies team, says plans that have lower rankings tend to have higher costs, among other concerns. The Michigan Education Savings Program (MESP) ranks in the silver category, a notch below the top gold rankings, according to Morningstar. The MESP, for example, will allow you to write a check for as little as $25 to open an account. In the future, the saver can add $25 or more at any time. Savings in the MESP plan can be used toward tuition (including a technical or trade school), as well as room and board. See www.misaves.com. Seriously. Do you have a bunch of old gift cards sitting around that you received for Christmas last year and still didn’t use? One option: See GiftofCollege.com where you can exchange gift cards for restaurants or retailers into an eGift Card for a college education. The site will put a value on the card that you’d then exchange for the Gift of College gift card. Old gift cards from more than 200 merchants are accepted, including Barnes & Noble, Build-A-Bear, Starbucks and Catherines. For example, a $25 Applebee’s card and a $50 Banana Republic card would add up to $52.44 on a gift card for college education. The Gift of College partners with CardCash, a gift card exchange program that uses a different formula for each brand name on the gift cards to calculate their value. Gift cards are redeemable through GiftofCollege.com into a 529 plan or student loan account. No fees are charged for processing once the card is given, but gift givers do pay upfront fees to use this service, which some might find pricey. Gift of College gift cards themselves are sold online and in select stores. If buying in the store, the upfront fee at the point of sale ranges from $3.95 to $5.95. If buying online, Gift of College charges $1.95 for regular mail, which can take nine to 12 days and includes processing time. The express mail charge is $9.95 and the card can arrive in three days—but remember, orders will not be shipped out on Saturdays, Sundays or holidays. Another good tip: Once you hit “send” on a gift contribution or drop it in the mail, the College Savings Plan Network recommends that you double-check with the child’s family to ensure that they received the contribution in their 529 account and know it came from you. In general, it may be better for grandparents to contribute to a 529 plan that is owned by the child’s parent, instead of the grandparent, for need-based financial aid purposes, according to Mark Kantrowitz, publisher and vice president of Research for SavingforCollege.com. 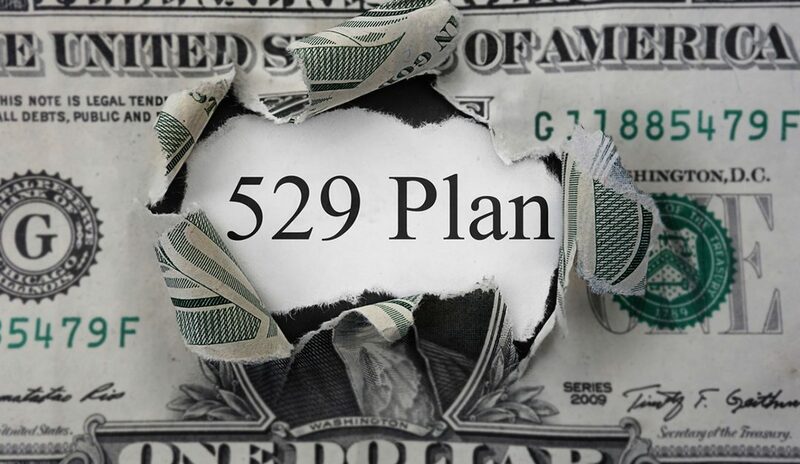 A parent-owned 529 plan has less impact on eligibility for need-based financial aid. Sure, this gift won’t help pay off any bills—or make you rich—but Monopoly board games have taken on some incredibly quirky twists. Another, possibly easier-to-find suggestion: I spotted the “Monopoly Cheaters Edition” at my local Meijer store the weekend before Thanksgiving and picked it up on sale. I’d add that the board game could be treated as a snide way to mock some of the high-finance shenanigans that made the news in 2018—including the Fiat Chrysler-UAW bribery scandal and now the alleged financial violations related to Nissan chairman Carlos Ghosn. Invite friends, family and the neighborhood’s big boss to play. Serve wine and cheese—or bread and water.